Reed Diffusers: Strong, Blissful Aromas. No risk of fire! Reed Diffuser is a container with slender porous reeds that soak in fragrant essential oil elixirs and fill the premises with a delightful aromas and is completely free from smoke. More and more people are now choosing the pure aroma and convenience of a reed diffuser because it does not require fire or electricity or batteries. 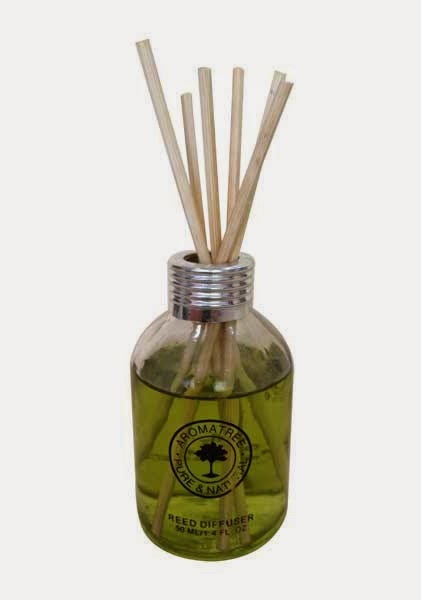 Reed diffusers are, therefore, great alternatives to candles and also safe. Moreover, a diffuser lasts from one to six months! Though, a vase function is to simply hold the oils, yet they come in all shapes and sizes to add decorative value of the set! The reeds are now placed in this fragrant oil filled vase. The oil then works its way up the reeds by capillary action and is dispersed into the surrounding air through via reed stems. The aroma is pure bliss and unadulterated as no flame or smoke is involved!